Even though he is fourteen feet tall, I have walked past King Solomon for years and years and barely noticed him. He’s been standing there quietly since my sophomore year at Penn. Until today, I never gavehim much more than a quick glance. This afternoon, I spent an extra minute admiring King Solomon and then I looked him up on Penn’s website to see what his story is. 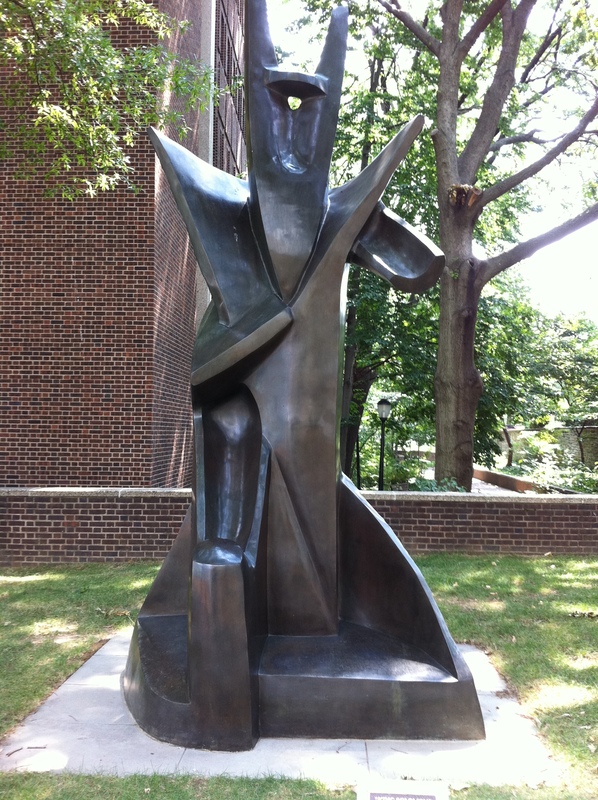 Truly one of the coolest pieces of art at Penn, the bronze statue King Solomon (1963) was sculpted by Alexander Archipenko and it keeps watch on 36th Street between Locust Walk and Walnut Street (across from the old Hillel and what is now the new Annenberg Public Policy Center). 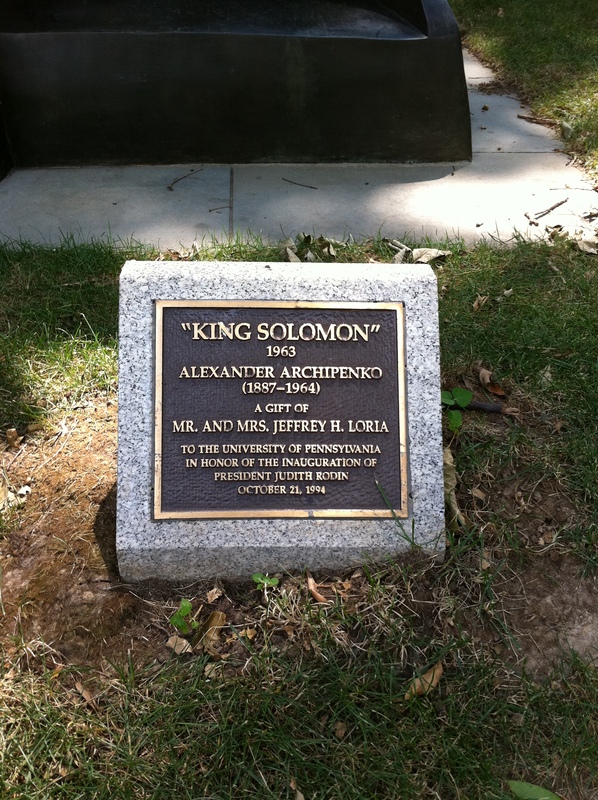 King Solomon was given to Penn in honor of the inauguration of President Judith Rodin on October 21, 1994 by Mr. and Mrs. Jeffrey H. Loria . 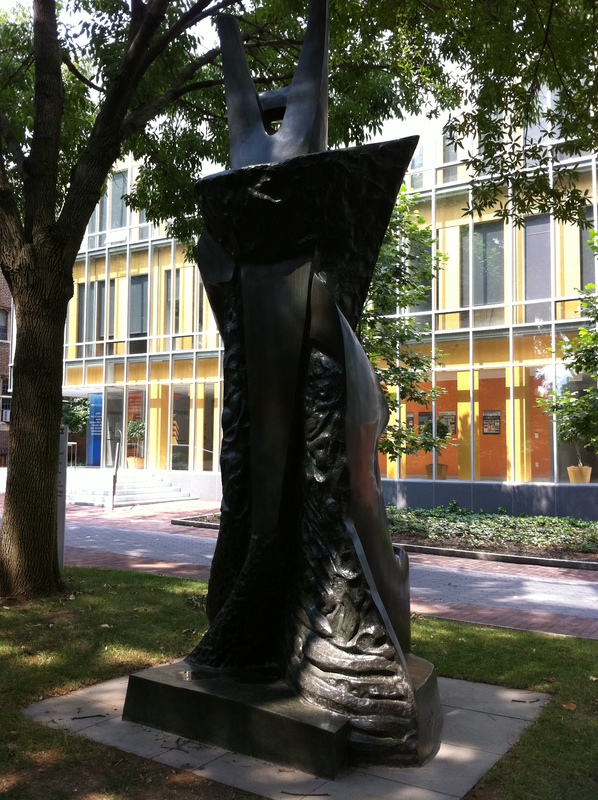 Check out how the cubist shape and form of Solomon mimics/compliments the tree behind it. Not intentional, I’m sure, but cool nonetheless. 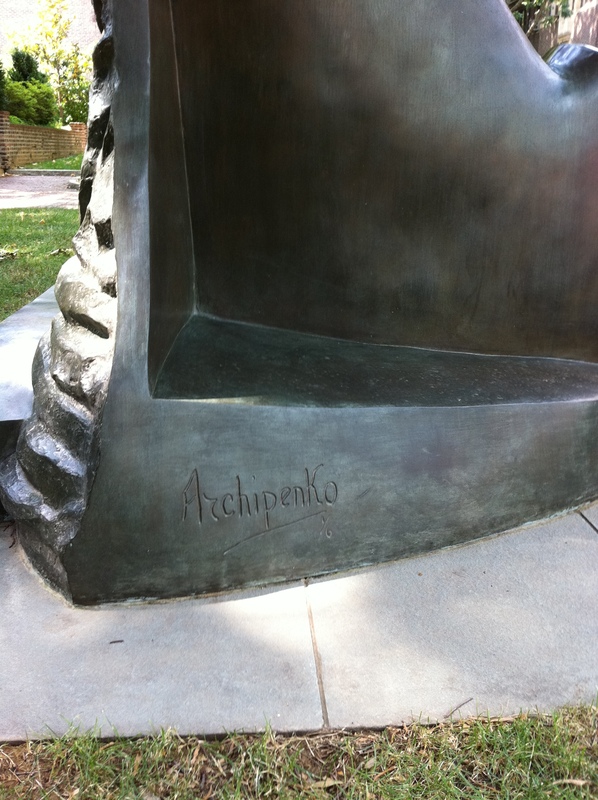 Notice Archipenko’s signature on the left side. And here is a view from behind Solomon – something most people have never taken the time to see. The juxtaposition of smooth and rough texture is pretty remarkable. And for a reference point, that is the new Annenberg Public Policy Center just across 36th Street. And something else I just learned: Archipenko did not normally work on a monumental scale. But shortly before his death in 1964, he completed a 4-foot King Solomon designed for enlargement. Instructions were left with his widow, who supervised the casting of a 14.5-foot, 1.5-ton version in 1968. This is the Solomon that stands on 36th Street. Archipenko’s original plan was for Solomon to be over sixty feet tall. Thanks for bringing my attention to this sculpture – I too have walked past it many times and noticed it without really looking at it. 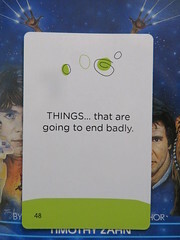 Next time I’ll take the time to stop and really see it!